Over 75 years ago, the World Fair was home to the most innovative ideas of the time. It’s where inventors from around the world brought their ideas about the future to the masses. The telephone. The electric outlet. The X-Ray machine. Ever heard of them? They all debuted at the World Fair. These days, however, the inventors have moved elsewhere. Forget the World Fair and start heading over to the Maker Faire Enter to Win an All-Expense Paid Trip for 2 to Maker Faire (US Only) Enter to Win an All-Expense Paid Trip for 2 to Maker Faire (US Only) You can enter right now to win yourself and a friend an all-expense paid trip to completely immerse yourself in drones, 3D printing, and other cool stuff! Read More . It’s the place to be for modern innovations. The first Maker Faire took place in San Francisco in 2006. It was run and operated by Make Magazine, but it was the brainchild of technology writer Dale Dougherty, who believed it would become a place where the “maker” in all of us 20 Micro Jobs to Help You Make Money in Your Free Time 20 Micro Jobs to Help You Make Money in Your Free Time Online opportunities to earn additional income are everywhere. It can be difficult to sniff out the legit companies from the scams. Below are 20 legit opportunities to easily make some extra income in your free... Read More could come out and play. Unlike the World Fair, which eventually became overly commercialized, the Maker Faire was a return to the grassroots of invention 10 Websites With Really Cool Inventions You Don't Know About 10 Websites With Really Cool Inventions You Don't Know About Read More — a place where anyone at all could showcase their innovations and creativity Ignite Sparks Of Innovative Ideas And Creative Inspirations With These Websites Ignite Sparks Of Innovative Ideas And Creative Inspirations With These Websites Have you ever looked at a problem ‘creatively’? Maybe not. Try some creative brainstorming with the help of these websites. It might not be an exercise for the next Nobel, but it is whole lot... Read More . By 2014, the movement of “maker faires” had spread around the world with over one hundred faires taking place. Across San Francisco, New York, and Rome alone, the movement saw a whopping total of over 280,000 attendees. Today, it’s one of the fastest-growing movements in the world. 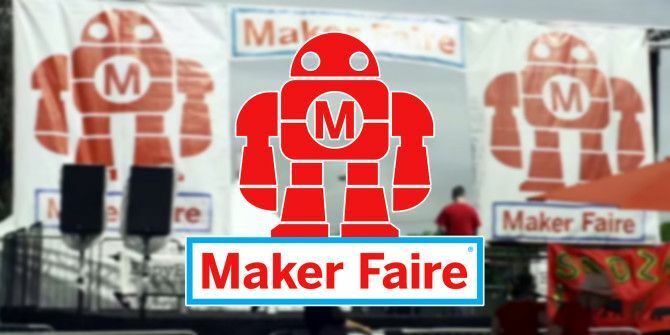 Have you ever attended a Maker Faire? What did you think of it? Share your thoughts in the comments below! Explore more about: Gadgets, History. We just went to the recent Maker Faire in San Diego. Pretty disappointing - $30 admission fee which was excessive given the number of underwhelming exhibitors/vendors. They would not provide me with a list of exhibitors via email before the event which makes sense now given that they didn't want potential attendees to see the lack of quality vendors or exhibitors ahead of time. It was a mish mash of some decent exhibitors and lots of mediocre exhibitors. Was hoping for a quality event but disappointed and recommend you don't waste your time and money attending other Maker Faires until they improve the quality of the event and provide consumers with more complete and transparent event info before the event.